As VETgirl is the #1 CE provider for online veterinary continuing education, we pride ourselves on being the most tech-savvy veterinary team out there!! As such, we wanted to help you avoid these tech blunders that can leave you cringing and crying! 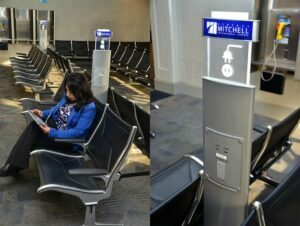 1) Do not charge your phone in public ports! The cord you use to charge your phone doubles as a data transfer cord. For example, when you plug your iPhone into your Mac with the charging cord, you can download photos from your phone to your computer. Aside from photos, this cord can also transfer email, text messages, videos, and contacts. It's called "juice jacking." Juice jacking uses hacked ports and your phone's video display to record everything you type and look at. If you constantly drain your phone battery, invest in a portable battery pack - but stay away from public charging ports! 2) Using easy to hack passwords! I am guessing half of you veterinary-minded people have your pet's name in your password! Guess what...your 1,047 pictures of Fluffy on your Facebook page make that easy to guess. 🙂 Avoid using common passwords. As some would say...if you can remember your password at all, it is probably not secure enough. We recommend a password manager like LastPass to create complex passwords and then fill them in for you automatically. 3) Not using two-factor authentication. If you have followed our advice and created a complex password, woohoo! But you are not done there....Now you need to go a step further. 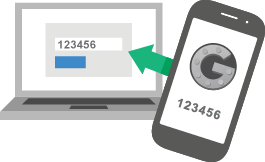 Two-factor authentication allows you to use a password to sign in, and then you confirm the sign-in when you get a text message on your phone. Many email servers and even Twitter uses a system like this - take the time now to configure this option and avoid hacking headaches later! 4) Backup your phone and other devices! Whether you are heavily invested into your computer, iPad, iPhone, or other devices...make sure you regularly back up your devices! There are cost effective and convenient options for backup including Dropbox, iCloud, Google Drive, Carbonite, Backblaze, and more! While it may take a few minutes to set it up...the first time your computer crashes or you lose your phone and can't find your contacts or precious photos...you will thank yourself for that time spent. Crashes happen. 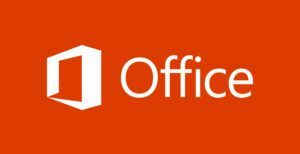 You are 3/4 done with your paper, PowerPoint presentation, or mathematical excel document...and the program crashes and closes! AHHH! If you want to avoid losing all your work when that bad stuff happens, make sure AutoRecover and AutoSave are turned on. This can save you time, money, and frustration. Hopefully these tech-savvy tips will keep you safe and protected in our technology rich environment!